As a small child dreaming of visiting new places, I had only two destinations in mind. One of them was Egypt and the great pyramids. The second was India and the great history. 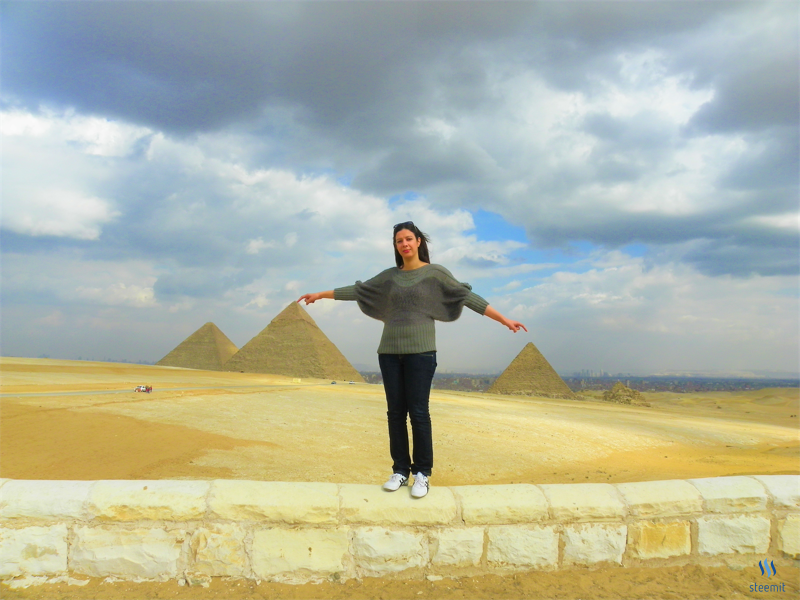 I visited Egypt in the time of their coup. You might think that I am crazy, but yes I take risks in everything :) Actually I booked my flight for the new year, but the airline postponed it many time. They didnt had many passengers going to Egypt at that time. After some days the flight was confirmed so I packed my luggage and prepared myself. Took a train instead of a taxi and ended up missing my flight :( Got a seat after two days and I remember that we were no more than 30 passengers on board. The food was delicious and the hostel was very clean and peaceful. In my first day I visited the Egyptian Museum as it contains an excellent Artifact Collection of the ancient Egyptian civilization It was very big and you need one or two days to check everything in it. I was always fascinated by ancient Egypt and wanted to read every detail written there. I dont prefer to hire a guide when visiting museums, because we have enough information written beside every artifact. The Tutankhamun's treasures and the mummy room were amazing. Even the ancient jewelry, clothing and pottery. Every single piece is unique! 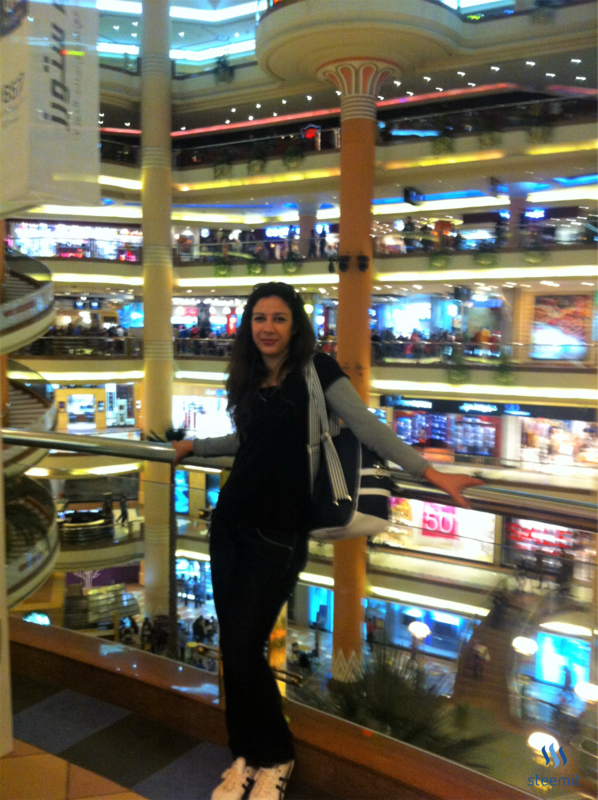 In my second day I visited the City Stars Mall in Cairo. It is a very big and famous mall where you find almost every brand. A good place to hangout and have a good meal or coffee. They have a wide variety of food for reasonable prices. In my third day I visited the local bazaar "Khan el-Khalili". It is a nice market with a huge variety of items. Lovely atmosphere and nice place for shopping or souvenirs. 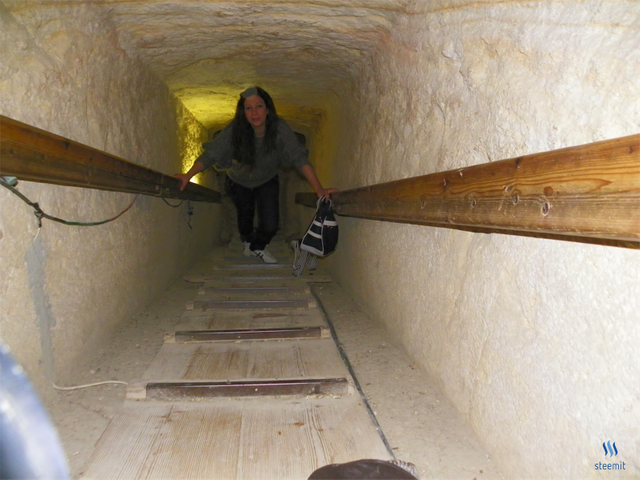 I spent only two hours there then had to go and visit the pyramids in Giza. Unfortunately I couldnt stay for a long time there. Traffic is a huge problem in Cairo and it took me one hour to reach Giza and another one hour to go back. It was great experience to visit one of the 7 wonders of the World. I got the tickets for the same price as the locals, because I knew their language from movies :) I also managed to buy some souvenirs for a reasonable price. But I suggest you not to buy the souvenirs from Giza, because they are a bit expensive. So better to buy them from the Bazaar. Great photos and good writing. Egypt is in my future destinations. Thanks for sharing. Thank you :) Yes it is one of the best trips I had! awesome!! 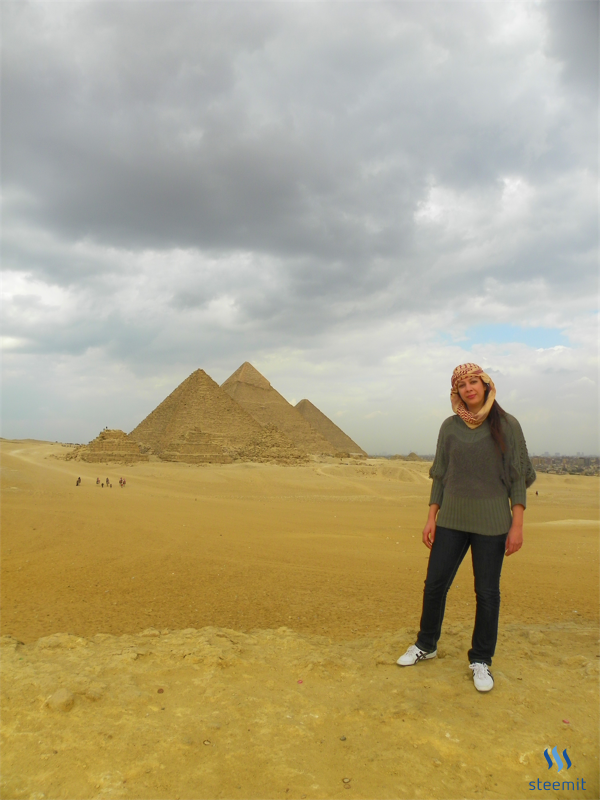 I went there as a child but I never got to see the pyramids because it was too hot >.< I'd love to go there again. dayum! what a cool trip. i'd love to go inside one of the pyramids. wow. But when you know that many people are waiting behind you and others already there, it feels like you just visited an ordinary room and thats it. Nothing special about it :( But I will visit again and hope to spend more time there. hhh thank you, yes I love the photo of the camel and the way he looks at camera :) Sometimes I enjoy travelling alone and having all my time to myself ! Unfortunately I didnt had the river cruise, but had dinner in one of the ships there. Oh my, this is on my list of things I really want to do. It looks like you had a great time. Seriously--I think traffic is the bane of modern existence. haha. Hope you do get to go again--and maybe next time there will be less traffic. I didn't build it, John (deceased now) did. Basically, as I remember (early 70's) he measured the largest square that would fit in his bedroom without the door interfering. Then, half way from one corner to another, he set up a string at 54* from the horizontal. The same at each halfway side. Then from the ceiling he hung a string in centre. And from this matrix, he measured length from centre top to corner and cut a piece of dowel rod an inch and a bit too long, four times. I remember he spent an evening fashioning a tin-foil point (made of heavy coffee-tin inner-lid tin-foil) which held the four dowels. Then with it still dismantled he assembled it in the garden upon the lawn. Using a sharp knife he carved the corners of the square and the quadrants at the right length. Reassembling in his room, he tied the corners with silver-foil once they were each together. Mosquito netting was hung around three sides, and three muslin like sarongs were arranged across the fourth. Once you've the picture in mind, the hardest part is to fix the point of the quadrants so that the sides are at 54*. You got a 1.16% upvote from @upme requested by: @hanen. The pyramids always amazes me. I would love to visit egypt one day. Yes you should. It is a very nice country! 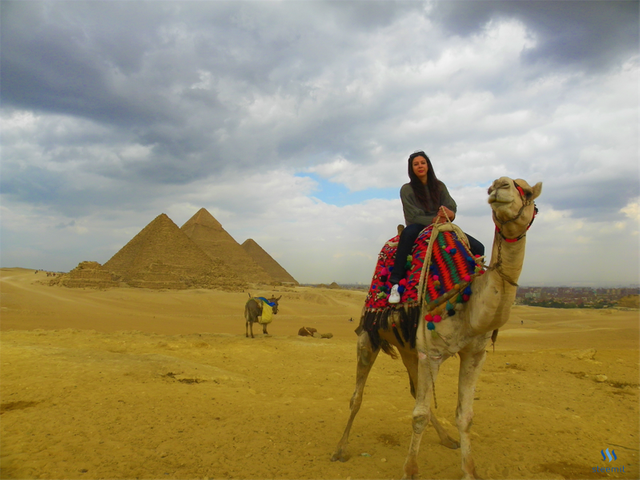 I have always wanted to visit Egypt and see the great pyramids. Wonders of the world. Lovely pictures dear. This post has received gratitude of 1.56 % from @appreciator thanks to: @hanen.